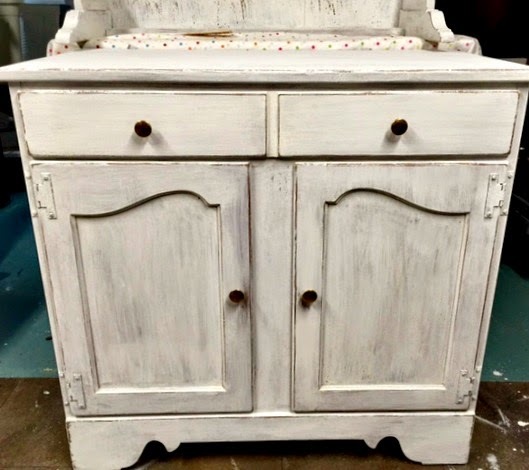 I'm going to make it beautiful using Miss Mustard Seed Milk Paint in Ironstone. I am including affiliate links to Miss Mustard Seed Milk Paint at no extra cost to you. 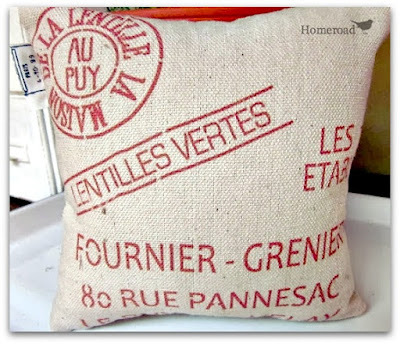 Just click on the bold links to locate the products. the chipping began as soon as the paint began to dry. When the paint was dry and the first chips began to fall I gave the entire piece a sanding with fine grit sandpaper. 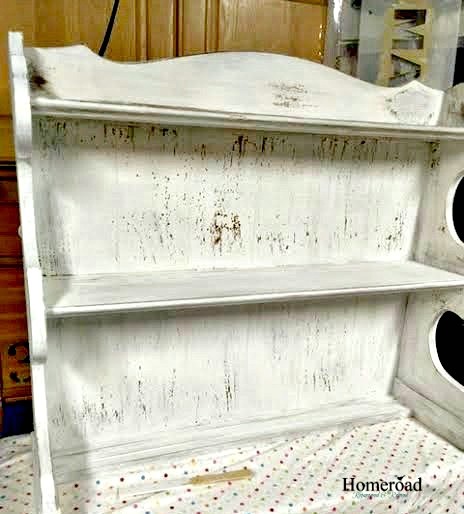 I distressed the hutch on the edges and around the knobs where wear and tear would naturally occur. 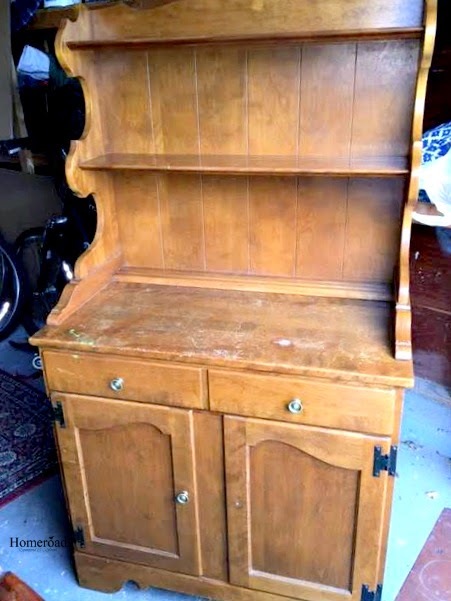 Finally, I coated the hutch with Miss Mustard Seed Tough Coat to protect it and to stop anymore chipping. This hutch is a great size and has a beautiful farmhouse look that is the perfect neutral color. I didn't stop there... I decided this piece needed to be a potting bench so I added some accessories. 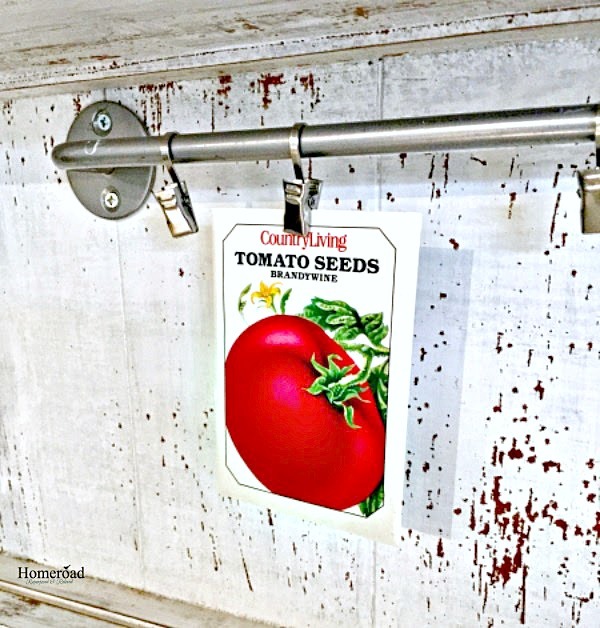 First I added a steel towel bar with clips to hold seed packets. 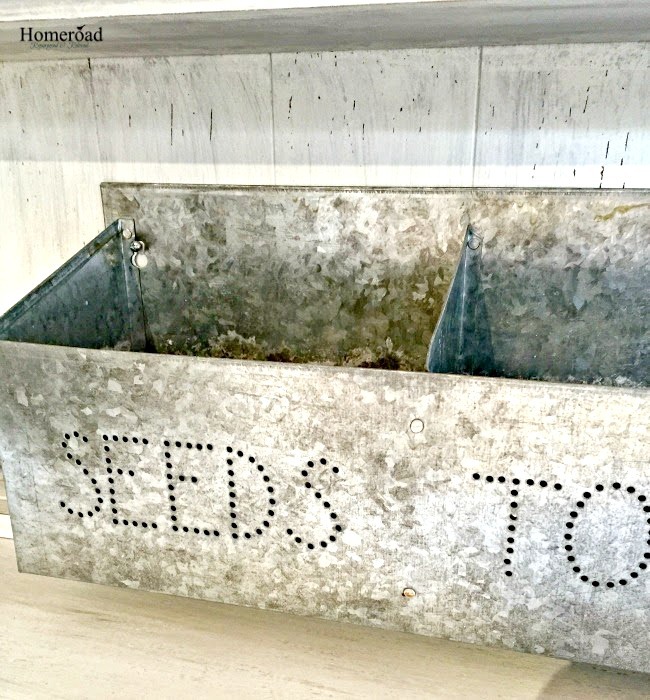 Then a galvanized steel bin for seeds and tools. The whole piece came together when I painted and distressed the word GARDEN at the top of the piece. 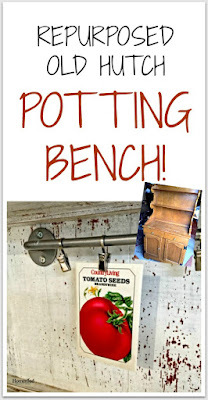 I think my favorite things to make are potting benches... see below for links to a few more of my favorites. leave a nice comment. Thank you! Super cute Susan! Congrats on your TV appearance too!! Thanks so much Anne! I know... look for me on HGTV July 26th at noon! Thanks! Thank you Donna! I love the way it came out... the clips are my favorite part! I love what you did with this hutch. The potting bench is to die for... It is awesome! Thank you Jean! I am very happy with the way it came out! So, so awesome!! Love your finished work!! this might be my favorite project you've ever done Susan. I love your chippy white milk painted potting bench. The galvanized holder is fabulous! Oh my goodness... how cute! Wow, this is beautiful. It's an amazing transformation! Beautiful potting bench - really like the metal you added - looks great off the white. 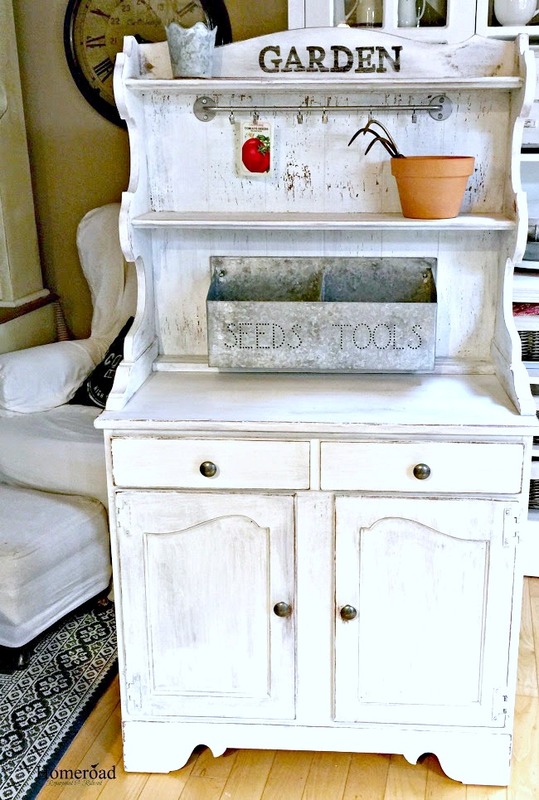 Hi Susan- I love your hutch makeover to potting bench! 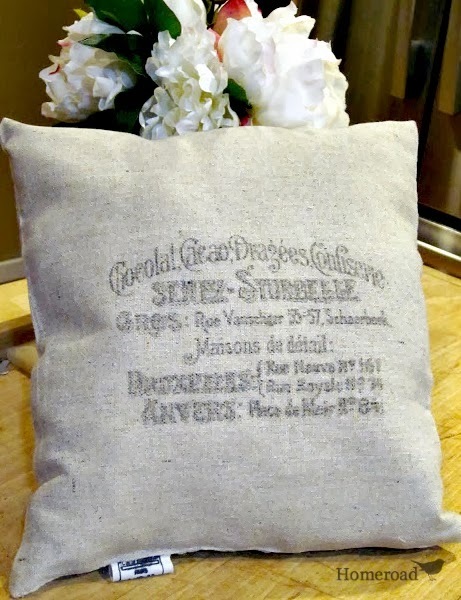 Would you mind if I featured this on my other blog - DIY Furniture Makeovers? (http://diyfurnituremakeovers.com) Let me know- thanks so much!